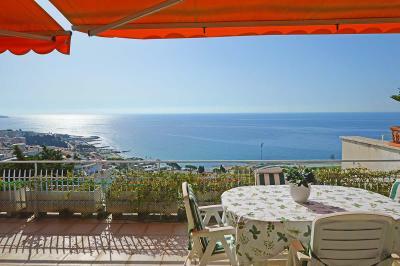 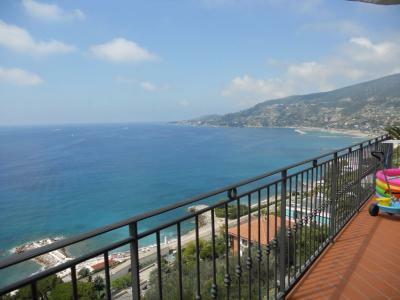 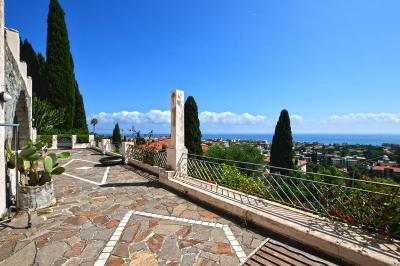 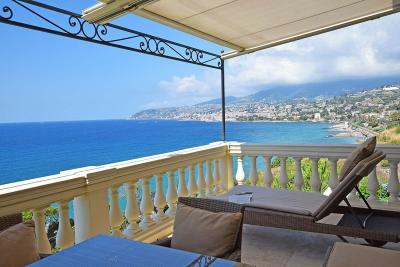 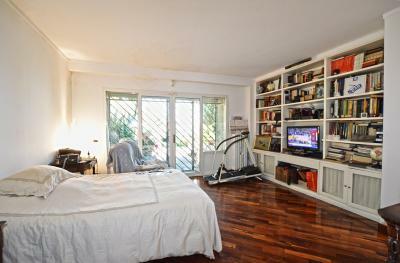 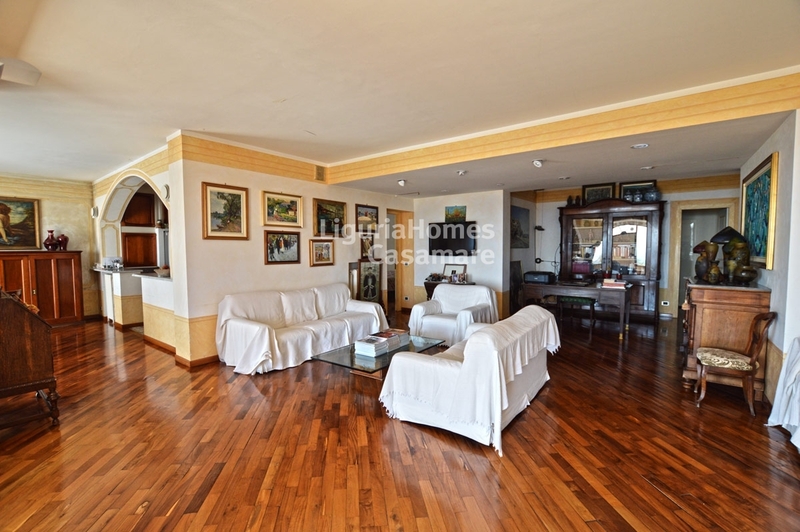 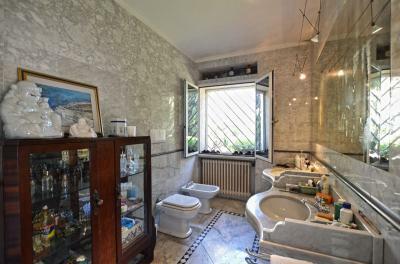 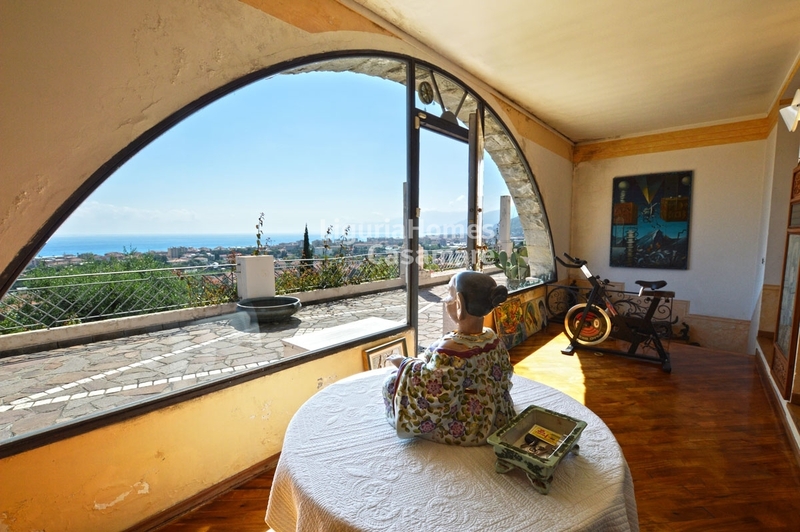 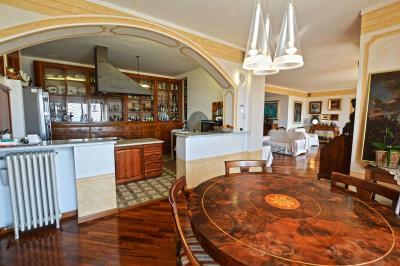 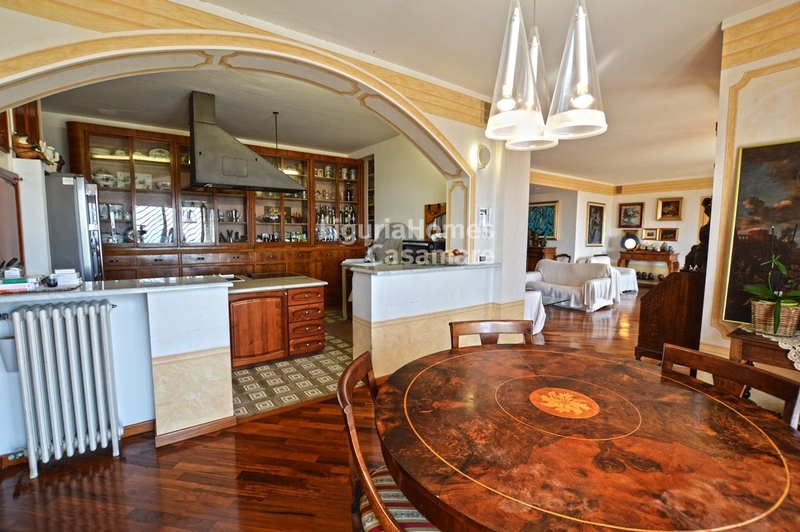 Bordighera, villa Apartment for Sale with huge terrace and panoramic sea view. 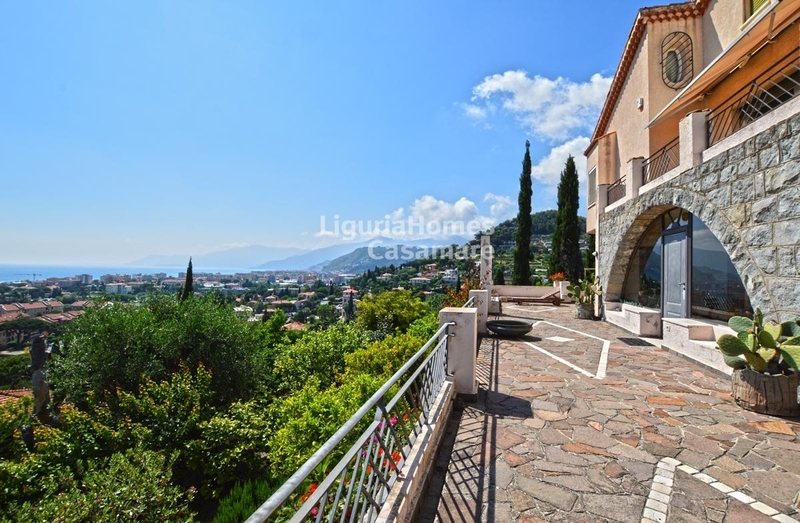 In a super panoramic and quiet position, not far from the center and the beaches of Bordighera, villa Apartment for Sale situated at the ground floor of a family villa, ready to move in with amazing sea view up to the French coast. 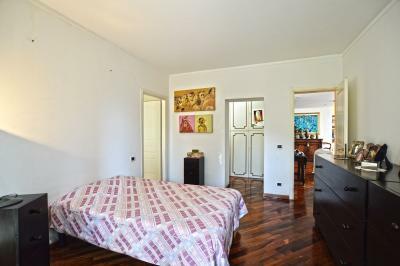 The accommodation includes: private entrance directly from the panoramic terrace, large and sunny living room of 80 sq.m., kitchen, dining room, master bedroom with private bathroom, second bedroom with en-suite bathroom and dressing, a large laundry. 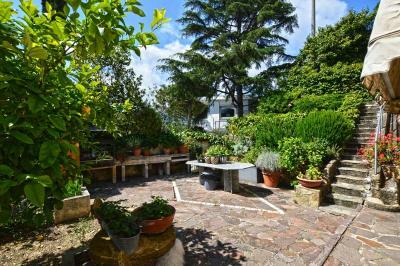 The surrounding private garden is about 400 sq.m. 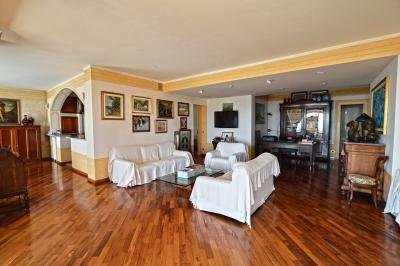 where is possible to build a private swimming pool; a double covered parking is also included.